We got some familiar faces, some funny moments, and some hints that all will not be right in the world of Winchester. Always nice to see repercussions of past actions actually playing through in the show. It’s all in a day’s work for the Men of Letters legacies. As a personal aside, before we get too deep in the episode, I’ve got to say that Vancouver is one small town considering how much actor recycling we get between my favorite shows. And even within just Supernatural, we’ve seen the same people playing two or more different characters over the years. 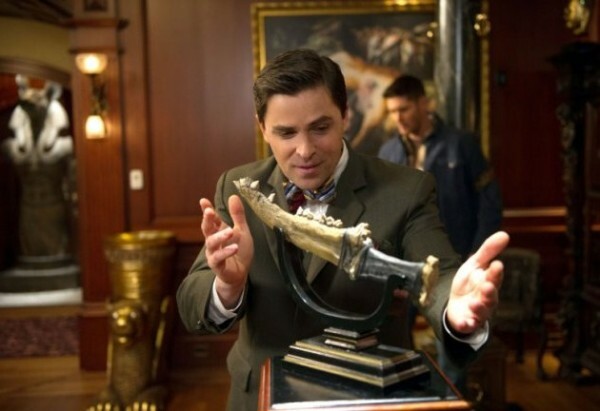 Case in point, in this episode we saw a return of Kavan Smith, aka Major Evan Lorne from Stargate: Atlantis. The first time he appeared on the show was in “Time Is On My Side,” where he was paired with former SGA star Craig Veroni, aka Dr. Peter Grodin. This go-around he was in the same episode as another former SGA cast member: Dean Marshall, aka Sergeant Bates. Whoever he’s paired with, Kavan was a snarky and fun part of the episode as the eternally youthful Magnus. It’s always great to get more glimpses at the Men of Letters’ past and to hear what went on while Grandpa Winchester was alive. The Winchester history is so rich and complex that we could go years just digging through the family tree. 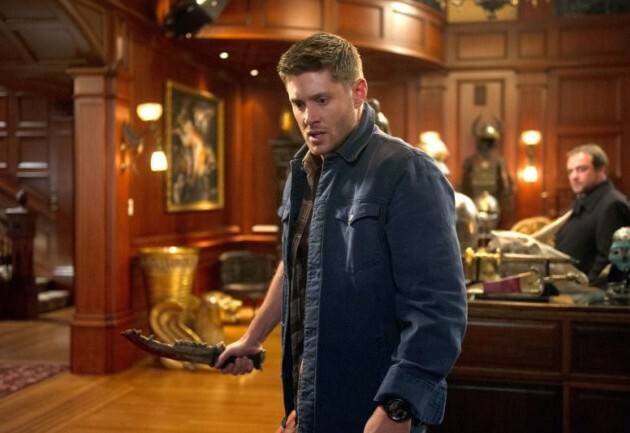 Looking forward to learning more about Dean and Sam’s legacies. Moving on to the overall episode, if I had to pick one stand-out character, it would have to be Crowley, hands-down. Mark Sheppard played the King of Hell’s blood addiction to perfection. I’d always been curious if the events in the church would come back to bite him. After all, Crowley was steps away from becoming human, changed by Sam’s blood pumping through his veins. Now, we see that he’s been jonesing for a hit over and over again, causing his hold on his kingdom to become weaker. The song choice of “Heroin” by Velvet Underground while he was shooting up? Inspired and very fitting. It’s always interesting to see the role of addiction play through on this show. Sam went through withdrawal before and now Crowley’s doing the same, though with a bit more tough love from the boys. But now that he’s been detoxed, is he truly free? He’s back to his old tricks of playing for whatever the winning side is, but I wonder if he’ll hold onto any memories of what the blood did to him. Or if he can easily cast that aside to use whatever advantage comes his way. As long as he can use the boys to defeat Abaddon, that’s what he’s going to do. 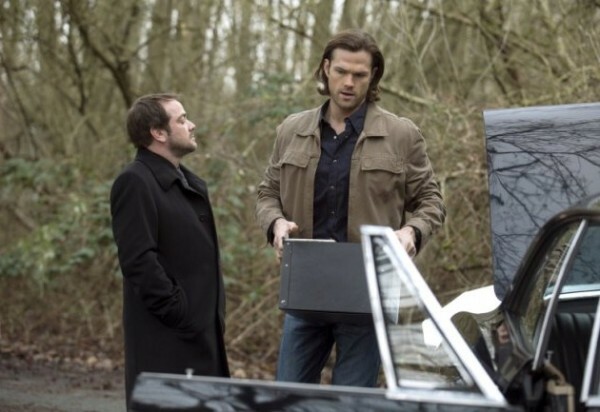 The dynamic between Crowley and Sam, versus Crowley and Dean, is an intriguing one. Dean’s been the one holding onto Crowley, keeping him alive and reconsidering any time when the thought of murdering the demon becomes too prominent. However, Sam seems to be the complete opposite. Use Crowley to get what they need and then off him as soon as possible. He’s been on this train of thought since right after they left the church, though whether that was Gadreel or Sam talking back then we don’t know. However, keeping both the brothers in mind, Crowley has always seemed to have a greater connection to Sam. He likes the guy, affectionately calling him Moose while Dean’s been deemed Not!Moose on the Caller ID. Why does Crowley want to be best friends with Sam so much? Not that I want his attempts at friendship to end, because Sam and Crowley are great playing off one another. It’s just interesting how the triangle of relationships is playing out between them all. But Dean’s got more pressing matters to deal with than how Crowley keeps buddying up and then screwing them over. The Mark of Cain is going to be bringing in repercussions for weeks to come, if the quick glimpse we saw this week is any indication. The power overwhelms him already, and he just got barely a taste when he held the First Blade. Can you imagine how powerful he will be once he has full control? Aside from the fact that Dean has a real storyline in what seems like forever, the fact that he’s walking a dark path that mirrors the one Sam was walking back in Season Four did not escape my notice. Will Sam be able to pull Dean back from the edge before it’s too late? Or will the good intentions lead them both straight to the worst possible outcome? Sam does seem concerned over what the mark will do to Dean, considering he was researching Cain and Abel when the episode started. 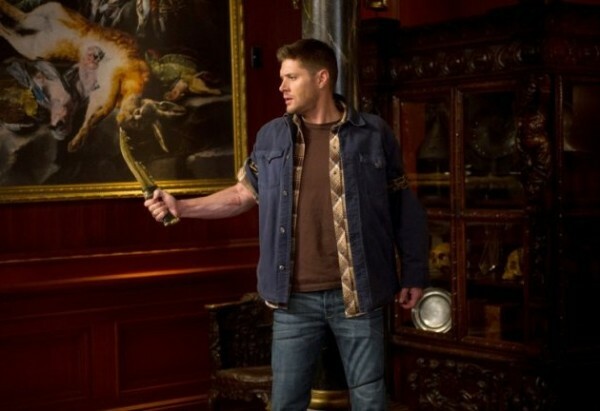 But as Dean falls more and more under the power of the Mark, and keeps his sights set on the ultimate goal of killing Abaddon, it doesn’t seem likely that Sam will be able to easily steer him off the path if things start going wrong. I’m very excited to see all this play out, and hopeful that once the damage is done and the dust has settled that the Winchesters can repair their broken relationship. They still love one another and neither Sam nor Dean ever wants to see his brother be put in danger. Let’s get them back to the good place.